If you have ever attempted placing a harness and leash on a cat, you understand that in most situations, they really dislike it. When we say dislike, we know that really means claws all over your arm, hissing, and attempting to scar you for life. 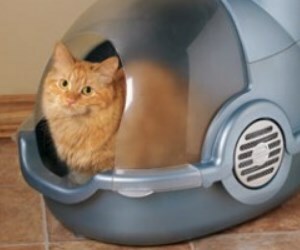 Maybe your kitty has mobility issues, but they still love getting fresh air and seeing the sights around town. 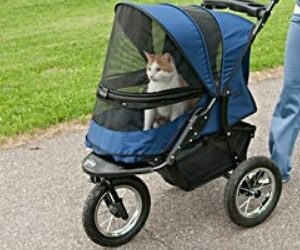 Regardless of the reason, the use of a cat stroller is a terrific way to take your feline friend, your capricious canine, or any of your small animal friends out for a lovely stroll. 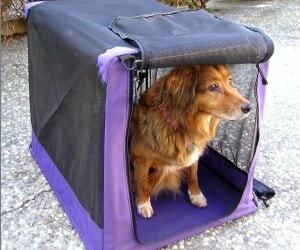 There are currently hundreds of pet stroller products to sort through and choose from. We’ve tested and researched a multitude of models and brands to save you time and money. 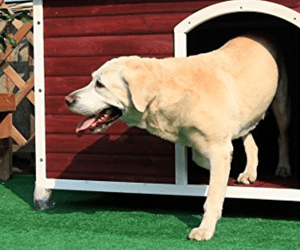 Here is a handy list of our favorite models with reviews and a helpful buyer’s guide that will streamline the process, so you can easily find the best option for you and your furry friend. A pet offers you unconditional love day in and day out. They are members of our family, like little, furry kids that we treat with love and kindness. If your dog, cat, or other creature has mobility issues, it can be heartbreaking to see them struggle to live life to the fullest. From walks to hiking, to a simple bathroom break, the loss of a pet’s ability to run, play, or even walk can be hard for both them and you as their pet parent. Lifting your furry child can be difficult with large breeds and even dangerous for you and them. Dropping an already injured pet can make health issues worse, but you still need to help them to go outside and live their life. Dog wheelchairs are a terrific option to allow your animal buddy to still participate in and enjoy all of the activities you love doing together. 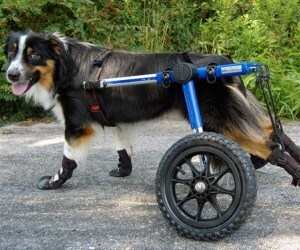 Although they are referred to and marketed as dog wheelchairs, these devices can help many different pets from dogs to cats to rabbits or even guinea pigs. Regardless of their species, your fuzzy friend can be up and mobile in no time. There are many options available, so we’ve taken the guesswork out by reviewing ten popular options, and we have included a guide to help you understand the important features and facts of wheelchairs for dogs and other pets.